Your letter of yesterday: so happy that my last was useful: but the vision! I must have failed to make myself clear. We shall come to that later in this letter. It is reassuring to learn that you are two-thirds human! Greed, anger and sloth are the three Buddhist bed-rock badnesses; and you have certainly given the last a miss in baulk. It is my own darkest and deadliest foe, and oh how mighty! With me he never relaxes. Sounds a paradox! but so it is. Listen, my child! I, even I, moi qui vous parle, need no information about fear. When I was twelve years old, it was discovered that I had defective kidneys; the opinion, nomine contradicente, of the Medical Profession was that I could certainly never live to be twenty-one. (Some people think that they were right!) But after a couple of years with tutors in the wildest parts of the country, I was found well enough to go to a Public School. They soon found me out! This kidney weakness causes depression and physical cowardice, and the other boys were not sympathetic about kidneys, regarding them mostly as satisfactory parts of the body to punch. Imagine my misery! The most powerful of all my passions—bar sloth—is Pride; and here was I, the object of universal contempt. So, when I was able to determine my own way of life, I observed mildly “Pike's Peak or bust!” and chose for my sports the two, mountain climbing and big-game shooting, reputed the most dangerous. It was a desperate remedy, but it worked. No half measures, either! I used to wander into the jungle alone, looking for tigers, and trusting to my sense of direction to take me back to camp. All my mountain climbing was guideless, and a very great deal of it solitary. Well, this is not an example for you to copy, is it? But it gives an idea of the principle “Take the bull by the horns.” A practice easier to imitate was this following. In most great cities, always in Eastern cities, are black slums. Here one may find blind alleys, dark doorways open to unlighted houses. One may explore such places, looking for adventure—and it was rather a point of honour to accept the challenge in whatever form it took. Again, one may walk with deliberate carelessness into the traffic1; this practice does not in my considerable experience, conduce to one's personal popularity. Another idea was to hasten to cholera-stricken cities, to places where Yellow Jack, plague, typhoid and typhus, dysentery (et hæc turba malorum) were endemic; and (of course) big-game hunting takes one to the certainty of malarial fever, with no doctors (or worse, Bengali doctors!) within many a league. The general principle seems to be “This boat carries Caesar and his Fortunes!” and no doubt Pride in its most Satanic degree is one's greatest asset. But the essence of the practice, as a practice, is to seek out and to face what one fears. Do not forget that courage implies fear—what else should fear be useful for? Of course, fears differ greatly both in quality and in degree; and one must distinguish between rational fear, ignorance of which implies stupidity, brutishness, imbecility, or what have you, and the pathological fear which springs from mental or moral disorder. There are in fact many types of fear which may be uprooted by some form of psycho-analysis. Generally speaking, it is up to you to invent a practice to meet each specific case. One moment, though, about the fear of death. The radical cure is the gaining of the magical memory. (See also AL I, 58) The more previous incarnations one can remember, the less important appears the moment when the curve of life dips below the horizon. (One very curious point: when one looks back at the moment of one of one's deaths, one exclaims: “By Jove! that was a narrow escape, and no mistake!” Escape from what? Me no savvy; but such is the fact.) How to acquire that Memory? The development of the Magical Record is by far the most important of one's weapons. How to use the Record is not easy to explain; but there is a sort of knack which comes to one suddenly. And there are certain types of Samadhi during the exercise of which these memories appear spontaneously, without warning of any kind. There is comfort in the thought that the persistent practice of seeking out one's fears, analysing them and their causes, then deliberately evoking them to “come out, you cad, and fight!” (W.S. Gilbert), presently sets up a habit of mind which is a strong fortress against all fear's modes of assault; one springs automatically to action when a patrol sneaks up within range of one's guns. Particularly useful against the fear of death is the punctual and vigorous performance of Liber Resh. Meditate on the sun in each station: his continuous and even way: the endless circle. That formula in the Tarot book is most valuable. One excellent practice, the general idea of which can easily be adapted to a host of particular cases, is the use of the imagination. Let me tell you how it worked in those early Air Raids on London. First, I looked at the question sensibly, taking the view that shelters and gas masks were soothing syrup with an element of booby-trap in it. Let me tell you a fable from the East. It is one of those incomparably sublime blossoms of the Spirit of Islam, infinite depth of wisdom adorned with the most exquisite and delicate wit. Contrast it with the poor thin propagandist stuff which passes for a parable in the Gospels! There is hardly one to be found worth remembering. Isaak ben Hiddekel was a Jew of Baghdad. Though not in his first or even second youth, he was in such health, enjoyed such prosperity, and commanded such universal respect and devotion that every moment of his life was dear to him. Among his pleasures one of the chief was the friendship of the aged Mohammed ibn Mahmed of Bassorah, reputed a sage of no common stature, for (it was said) his piety had been rewarded with such gifts as the power to communicate with Archangels, angels, the Jinn, and even with Gabriel himself. However this may have been, he held Isaak in very great esteem and affection. Mohammed set off sadly for Bassorah. Indeed, as the days passed, the incident preyed upon his mind, until at last he resolved to risk the breach of professional confidence and warn his friend. He sent accordingly a letter of condolence and farewell. But Isaak was a man of action. Prompt and stealthy, on the day appointed he saddled his best horse and so passed through the silent streets of the city in search of a refuge. That evening Mohammed was returning from prayer “Nowit asali fardh salat al maghrab Allahu akbar” slowly and mournfully, when hardly halfway from the mosque to his house who should he meet but Death! At least, don't let the Gods have the laugh on you! Hello! Here's the Book of Lies again! What fun. Now I ring up POL 5410 and borrow the book and get the chapter we need copied and—oh! With luck we shall get this space filled in a month or two! Each act of man is the twist and double of an hare. Love and Death are the greyhounds that course him. God bred the hounds and taketh His pleasure in the sport. This is the Comedy of Pan, that man should think he hunteth, while those hounds hunt him. This is the Tragedy of Man, when facing Love and Death he turns to bay. He is no more hare, but boar. There are no other comedies or tragedies. Cease then to be the mockery of God; in savagery of love and death live thou and die! Thus shall His laughter be thrilled through with Ecstasy. Very good! Now where were we? in the “blitz?” Oh, yes! No sense in scuffling or slinking or skulking; so one decides to take no notice so far as practical action is concerned. So, the noise making work rather difficult, one lies down in Shavasana (the “Corpse-Position”—flat on the back, arms by sides, everything relaxed) or the Templar (Sleep of Siloam2) position, which is that of the Hanged Man in the Tarot. One then imagines a bomb dropping first in one place, then in another; one imagines the damage, and what one then has to do to counteract the new dangers—perhaps a wall of your house has gone, and you must get clear before the roof falls in. And so on—close the practice by a block-buster hitting you accurately on the tip of the nose.3 This must be done realistically enough to make you actually afraid. But presently the fear wears off, and you get interested in your various adventures after each explosion: ambulance taking you to hospital, getting tools and digging out other people and so as far as your imagination takes you. After that comes yet another stage; your interest declines; you find yourself indifferent to the entire proceedings. After a few nights you can no longer distinguish between the real thing and your own private and peculiar Brock's Benefit. The fear will have vanished; familiarity breeds contempt. Finally, one is no longer even aware that the boys are out again on a lark. Incidentally, one may draw a quite close parallel between these four stages and those accompanying Samadhi (probably listed in Mrs. Rhys David's book on Buddhist Psychology, or in Warren's bran-tub of translations from the Tripitaka, or Three baskets of the Dhamma. I haven't seen either book for forty years or more, don't remember the exact titles; scholars would help us to dig them out, but it isn't worth while. I recall the quintessence accurately enough. Stage 1 is Ananda, usually translated “Bliss”. This is an intensity of enjoyment altogether indescribable. This is due to the temporary destruction of the pain-bearing Ahamkara, or Ego-making faculty. Stage 2. Ananda wears off sufficiently to allow one to observe the state itself: intense interest (objective) of a kind that suggests approach to the Trance of Wonder. (See Little Essays toward Truth, pp. 24-28). Stage 4. “Neither indifference nor not-indifference.” One hardly knows what to make of this translation of the technical Buddhist term: probably no meaning is really illuminating to one who has not experienced that state of mind. To me it seems a kind of non-awareness which is somehow different from mere ignorance. Rather like one's feeling about the automatic functions of physiology, perhaps: and acceptance so complete that, although the mind contains the idea, it is not stirred thereby into consciousness. These speculations are, perhaps, idle, and so distracting, for you in your present path. Was it worth while to make this analogy? I think so, vague and unscientific as it must have seemed to you, as reminding you of the way in which unlike ideas acquire close kinship as one advance on the path. “Di magni! Salaputtium disertum!” as Catullus would certainly have done, had I inflicted all these dry-as-dust dromedary-dropping upon him! Let us get on to your white rages! Well I do know them though I call them black—no, I shall not quarrel about the colour. To me they come almost every day. When I see the maid dust my mantelpiece—which I pay her to do—I want not merely to slay her in the extremity of torment; I want to abolish her, to annihilate her—and the mantelpiece too and everything on it! I can hardly keep from roaring at her to get out and never darken my door again. This is not because she is doing it badly; doing it at all is a token of the unspeakable horror of existence. The actual feeling is that she is somewhat disturbing my aura, which I had got so nice and clean and quiet after the nuisance of “getting up.” I feel as if I were being pushed about in a crowd of swarming insect-citizens. Then there is quite another kind, which is quite clearly penny-plain frustration. Something one wants to do, perhaps a trifle, and one can't. Then one looks for the obstacle, and then the enemy behind that again; maybe one gets into one of those “ladder-meditations” (as described in Liber Aleph,4 quoted in The Book of Thoth, when discussing “The Fool” and Hashish, only the wrong way up!) which end by the conception of the Universe itself as the very climax, asymptote, quintessence of frustration—the perfect symbol of all uselessness. This is, of course, the absolute contradictory of Thelema; but it is the sorites on which both Hindu and Buddhist conclusions are based. This kind of rage is, accordingly, most noxious; it is direct attack from within upon the virgin citadel of Self. It is high treason to existence. Its results are immediately harmful; it begets depression, melancholy, despair. In fact, one does wisely to take the bear by the ring in his snout; accept his conclusions, agree that it is all abject and futile and silly—and turn the hose-pipe of the Trance of Laughter on him until he dances to your pleasure. But—is this any answer to your problem? It disturbs me little that you should try to palm off “Peace” upon my sentries as the password. Too often peace is merely the result of war-weariness, and the very negation of victory. It is (or may be) the formula of sloth and the gateway of stagnation. Life is to be a continuous vibration of ecstasy; and so it is for the Adept, whenever his work allows him time to consider the matter, consciously; and even when his work pre-empts his attention, is an eternal fountain of pure joy springing, a crystal fragrance of reverberation light from the most inmost caverns of the Heart. It secretly informs one's dullest thought with sparkling wine, radiant in the Aethyr—see well! the least excuse, since it is always there, and champing at its bit, to turn the dreary cart-horse drudge into proud Pegasus himself! This is where I want to have you, with us who are come thus far, in a state utterly detached from the Ego, so that you appear the plain Jane Wolfe5 “doing your duty in that state of life to which it has pleased God to call you” and consequently unremarked—like a Rosicrucian, “wearing the habit of the country in which you are travelling”—but trembling with interior illumination, so that the first relaxation of the constant conscious burden of Jane Wolfe, Soror Estai is automatically released, a pillar of Creative Light. (Liber LXV, as you know, is full of these explosions). We tracked the cause: it was frustration. Good: then we must counter it. How? 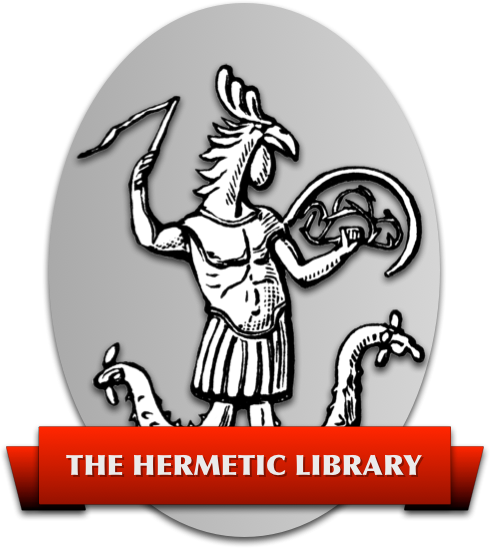 Only (in the last event) by getting the mind firmly fixed in the complete philosophy of Thelema. There is no such thing as frustration. Every step is a step on the Path. It is simply not true that you were being baulked. The height of your irritation is a direct measure of the intensity of your Energy. Again, you soon come to laugh at yourself for your impatience. Probably (you surmise) your trouble is exactly that: you are pushing too hard. Your mind runs back to AL I, 44; you realize (again!) that any result actually spoils the Truth and Beauty of the Act of Will; it is almost a burden; even an insult. Rather as if I risked my life to save yours, and you tipped me half-a- crown! Here's that Book of Lies_popping out its ugly mug again: “Thou has become the Way.” This is why the Ankh or “Key of Life” is a sandal-strap, borne in the hand of every God as a mark of his Godhead: a God is one who goes. (If I remember rightly, Plato derives “Θεως” from a verb meaning “to run”, and is heartily abused by scholars for so doing. But perhaps the dreary old sophist was not far wrong, for once.) What you need to do, then, is to knit all these ideas into a very close pattern; to make of them a consecrated Talisman. Then, when rage takes you, it can be thrown upon the fire to stifle it: to thrust against the Demon, to disintegrate him. The great point is to have this weapon very firmly constructed, very complete. Your rage will pass in one of those two ways, which are one: Rapture and Laughter. I want you to go over this apparatus very carefully; to analyse the argument, to make sure that there are no loose ends, to keep it keen and polished and well-oiled, ever ready for immediate use: not only against rage, but against any hampering or depressing line of thought. Excuse me if I mention it, but—no doubt the fault is mine—you seem to have failed to note any single one of all my prayerful injunctions, either in the letter or on your visit. Perhaps you thought that I should take circles and pentagrams etc. for granted: but you give no hint of the object of your journey. (No don't quote AL I, 44 at me: it doesn't mean that. I don't expect you to answer the clerk at the booking-office “Where to, madam?” with “I don't mind in the least.” Though, even in that case it is magically true, or should be. As in the case of the young lady who got carried on to Crewe. The unplanned adventure may have proved much more amusing.) How am I to tell whether you were seeing correctly? Suppose your chosen hexagram had been VI Sung “Contention” or XXIX Î “Nourishing”? Where would be the “vision”? You are to set out to explore a country unknown to you: How can I be sure that you have actually been there? How can you be sure yourself? You can't. You can, if you go to a place you have never heard of, and then discover later on, that it actually exists. You have got to display the congruity of your vision with the account of the country given in the Text. If you take Khien I, which is all Lingams and Dragons, and you describe it as a landscape in the Broads, I can only conclude that you did not get anywhere near it. Then you produce a monk, and never get his name or office. Finally after you return, you get this Caballero dropping in unasked. Alas! I fear me much this was no Astral journey at all; it reads like weak imagination tinged by desire. All you got of interest was the answer to your question: and that you should have gripped, made more precise, analysed, interpreted. Dear me, no! Final shot: my instinct is all against the “lying in bed.” These visions are intensely active: the hardest kind of work. Read Liber CDXVIII, 2nd Aethyr (and others) to understand the appalling physical strain, when you reach remote, well-guarded, and exalted confines of the Universe. In every sense of the expression—SIT UP! Music. Justifiable? Why not? A help to your great Work, an aspect of your Will, nicht wahr? Go to it! Apollo is the God of Music, pre-eminently; but He is too all-comprehensive, all-pervading, to be much use in a Talisman except as a general background. But there are the Muses: Polymina (or Polyhymnia) seems the one you want: she inspires the sublime hymn. How to invoke her is a matter for prolonged consideration. One would hardly see how to tackle the problem at all, unless by digging out an Angel from one of the Enochian Tablets. (See Equinox I, 7 and 8). Perhaps there is a square ruled by Sol (or Venus), Fire, Air and Water in the Tablet of one of these, with an appropriate Character on the summit of the Pyramid. If so, all would be plain sailing. Of course, there are other Gods, notably Pan. (I must ask you to set my Hymn to Pan to music). But I doubt if any of these are what you want. Probably the most practical plan would be to make a musical conjuration of Sol: use this as your invocation when you go on the Astral Plane: there find a suitable guide to the proper authority—and so on! And that, dear Sister, for to-night will be exactly and precisely that! 2: The “sleep of Siloam” (or 'Sialam') appears to have been a term used in certain occult fraternities to denote a controlled deliberate trance state (according to the editors of The Hermetic Brotherhood of Luxor the term originates in a 19th-century British army officer's memoir of his time in India, and was taken up by P.B. Randolph and H.P. Blavatsky). An unpublished (possibly lost, or never written) official instruction of A∴A∴ supposedly deals with the matter. One ritual by Crowley which mentions “the Sleep of Siloam” survives (it was published in The Magical Link in 1999), and this does indeed have the magician lying down in the Hanged Man posture at one point in the ritual – T.S. 3: This letter may have been written in the early 40's before the blockbuster hit behind Crowley's residence while he was out. A caution regarding visualization is in order! – W.E.H. 5: Jane Wolfe (Soror Estai), Hollywood actress in the 1920s; briefly resident at the Abbey of Thelema; later a member of Agapé Lodge #2 in California. Some of the other letters in Magick Without Tears may have also been originally written to her, though most were for Ms. Anne Macky (Soror Fiat Yod) – T.S.